It is good to have hanging chairs in homes. Aside from their functionality, they look cute in the living room, bedroom, or even the backyard. 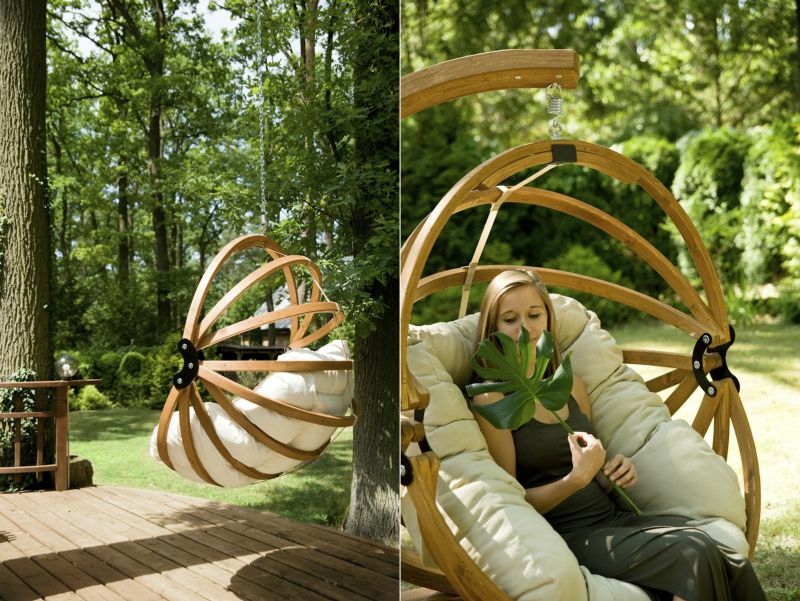 Hanging chairs mainly come in two types – freestanding and the ones that need some supports to be hanged. They are available in a variety of styles, making it easy to choose the design that suits your needs. 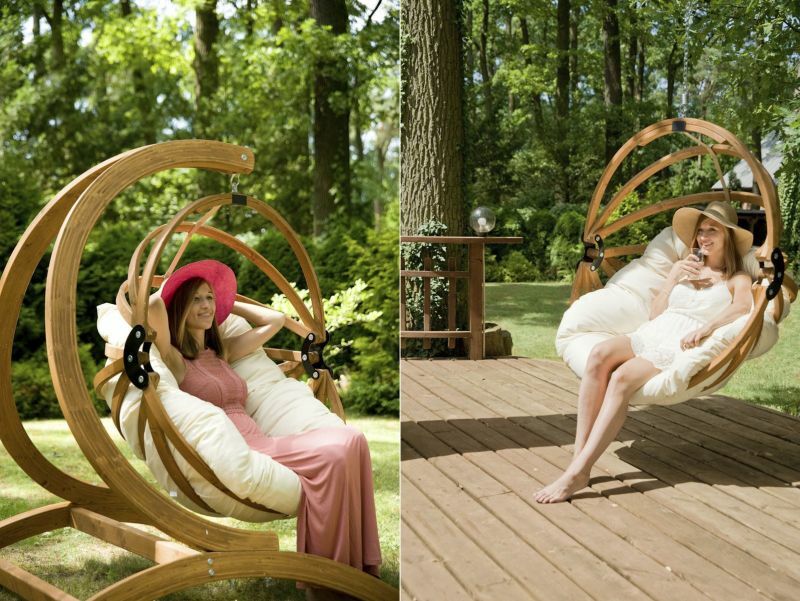 Today, we are acquainting you with Gaya hanging chair from EcoCurves, which you would surely like to have in your bedroom. 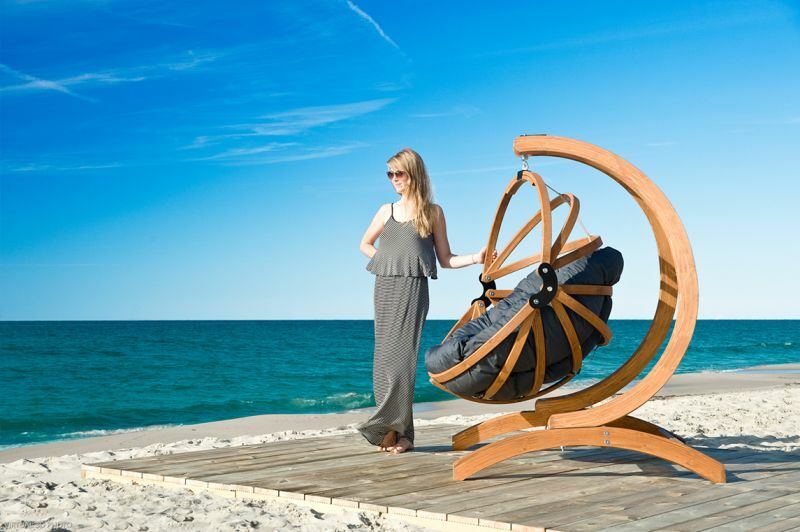 It is a freestanding hanging chair designed for public spaces. If you remember the Armadillo hanging chair by Ola Giertz, the Gaya freestanding hanging chair makes use of a similar concept. It consists of bent and glued wooden arches made from Scandinavian spruce timber treated to amber color that ensures resistance to rotting for at least 10 years. There’s a seating with specifically designed cushion for optimal comfort. 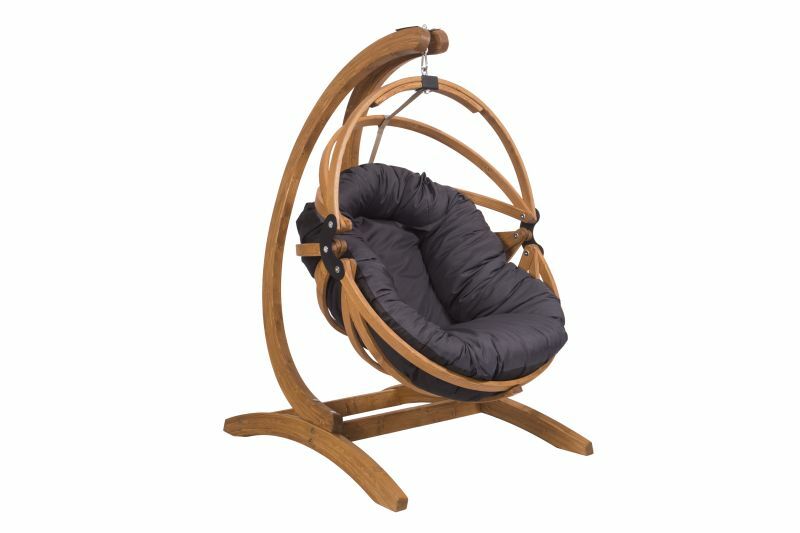 The Gaya swing chair can be hung using the provided wooden stand or can be suspended from the ceiling. Available in three different sizes, the Gaya basket can be combined with four types of wooden stands. The pricing starts from $520 and varies according to the size of the basket and type of the stand. It was also showcased at the National Hardware Show 2018.